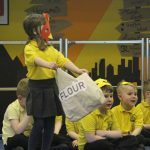 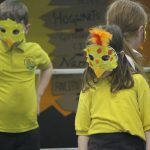 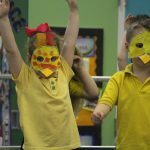 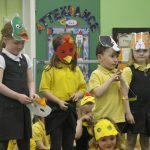 Red Class treated us to an assembly about the Little Red Hen. 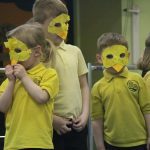 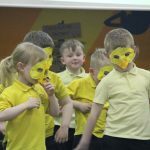 They retold the story, including songs and actions, and delivered lines well both on their own and as a class. 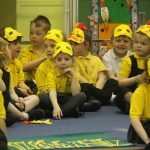 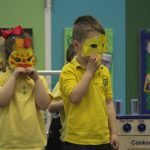 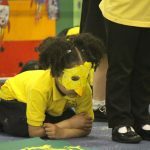 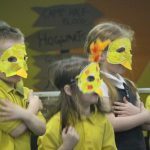 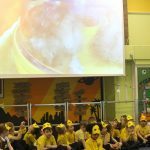 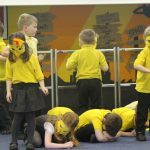 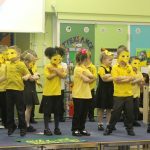 It was great to see how confident the children felt up on the stage in front of the whole school and their mums, dads, friends and family. 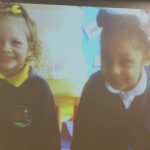 They also shared facts and video footage about the chicks that they have watched hatch in their classroom. 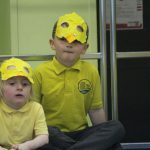 They have enjoyed thinking about what might come out of the eggs and how, finding out about incubators and what chicks need to survive and then carefully looking after them once they have hatched.